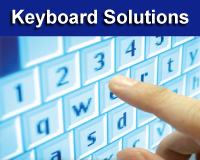 IMG has been providing virtual on-screen keyboard solutions since 1995. Due to the varied nature of our customers, the inherent flexibility of software, and specialized needs of user interfaces, we have many solutions and thousands of variations available, including our new Online Layout Database. Free My-T-Soft® Basic "Free Edition"
Useful Boards and Panels to make your life easier - explore and learn the power of My-T-Soft!